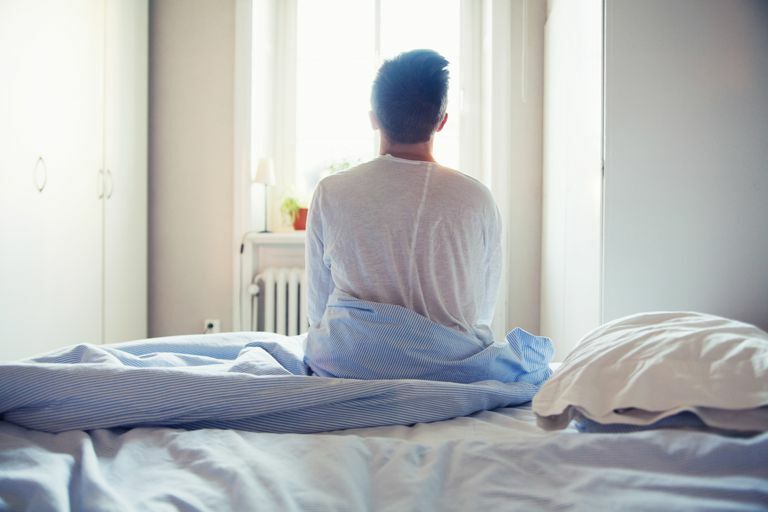 For those who fall asleep too early in the evening and wake too early in the morning, there is one possible cause that might be unfamiliar: advanced sleep-wake phase disorder. What does it mean to have an advanced sleep phase? Why might this circadian rhythm disorder occur? Learn about this condition, how it is diagnosed, who most likely experiences it, and possible treatment options including the use of melatonin and light therapy. What Is Advanced Sleep-Wake Phase Disorder? Advanced sleep-wake phase disorder is a circadian rhythm disorder that causes someone to go to sleep earlier in the evening and wake earlier in the morning, compared to most people. This advance is typically two or more hours prior to the required or desired sleep times. For example, someone who desires to sleep from 10 PM to 6 AM may fall asleep by 8 PM and wake by 4 AM. Individuals with this condition typically feel excessive sleepiness in the early evening and fall asleep early as a result. They may complain that they wake early in the morning and cannot get back to sleep, experiencing insomnia. Example: Edith is a 78-year-old woman who often becomes sleepy around 7 p.m. and typically goes to bed by 8 p.m. She wakes up at 4 a.m. and cannot get back to sleep. She would prefer to sleep in until at least 6 a.m. and typically spends the first few hours of her mornings lying in bed awake. In order to be diagnosed, symptoms must be present for at least 3 months. Importantly, the early morning awakening occurs even with a delay in the onset of sleep. Other causes of early morning awakenings, such as depression or sleep apnea, should be ruled out. Depression typically will not cause evening sleepiness, but untreated sleep apnea might. Advanced sleep-wake phase disorder occurs more often in the elderly. This may be due to a natural loss of response to light as part of aging, especially among those with lens problems such as cataracts. Advanced sleep phase also seems to run in families. There seem to be several genetic mutations that occur, including casein kinase gene (CKI-delta and CKI-epsilon) as well as hPer1 and hPer2. In addition, there may be a higher incidence among children with developmental disorders such as autism. The exact prevalence of the condition is unknown, but it is suspected to affect less than 1% of people. Advanced sleep-wake phase disorder may be diagnosed based on a careful history. If further information is required, sleep logs and actigraphy may be used. These measurements are usually taken over 1 to 2 weeks to establish the overall sleep-wake patterns. In some cases, a sleep study may be required to identify other potential causes of the symptoms, such as sleep apnea. The advanced sleep-wake disorder may be effectively treated with the use of phototherapy. Evening exposure to sunlight may be helpful in delaying the timing of sleep. If light at night is difficult to obtain, a light box may be used. In addition, other elements of cognitive behavioral therapy for insomnia (CBTI) may be employed. In some cases, a low dose of melatonin in the morning may be used, though side effects such as daytime sleepiness may be problematic. If the symptoms persist, it may be necessary to protect the preferred sleep timing period to avoid the effects of sleep deprivation. If you are concerned about the cause of your sleep difficulty, speak with a sleep specialist about the available options for proper diagnosis and treatment.